Coming June 2, and August 25, 2014. 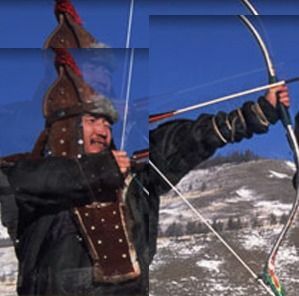 You too can be a fierce warrior…with Nomads Tours and Expeditions’ Mongol Warriors Training. This unique 9-day trip to Mongolia includes staying at Nomads’ ger camp (traditional round shaped dwelling), theory and practical lessons to become a warrior, archery and horse riding classes, cooking special Mongolian meals, visiting the Natural History and Mongolian Military museums, and participating in cultural festivals. A novel tour for the adventurous TrailblazerGirl!